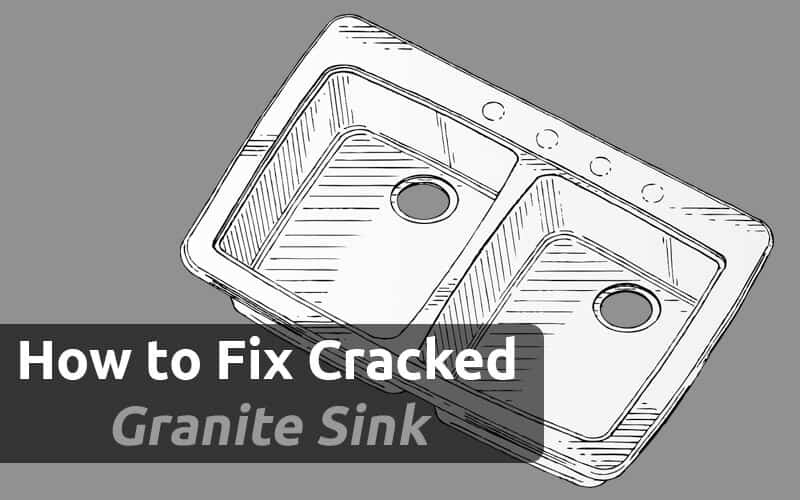 There are so many reasons why we have stains in our stainless steel sink. A more horrible story is having chemical stains. These are really hard to deal with. It breaks my heart when the stainless steel that should lighten kitchen space looks nasty. But wait a moment before you feel completely disheartened. There are actually some very effective ways that you can apply to get rid of such useless stains. Today, that’s what we would be chatting over. Let’s start! As soon as you are into the moment where some chemical gets spilled over your precious sink rinse it off. Don’t delay and do it right after. This might save you from the extra hassle for the stain removal process. Make sure you follow this very simple tip whenever there is a spill next time. However, the truth is, damage of chemical reaction is sometimes irreversible. You right now might be in the moment where the damage is already done. 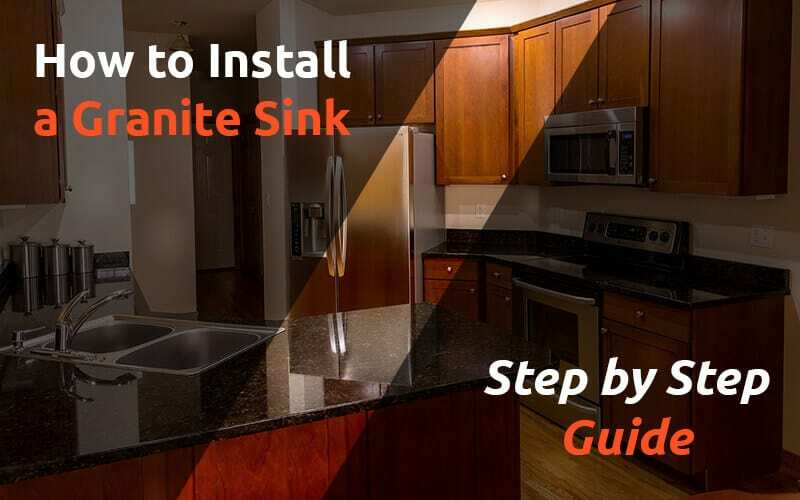 However, if it’s not too late yet, you can save your sink. You just need some very cheap elements such as baking soda, gloves, mask, towel, ammonia, vinegar and so on. Always start with making yourself protected. Wear a good kitchen glove and a nice mask to keep you away from any hassle later. Now we would jump right into some techniques. Sometimes the dangerous chemical that ruins your sink is bleach. Maybe you were trying to clean it or some other reason. Too frequent use of bleach sometimes can leave stains. Here is how you would be able to get rid of it! One thing that you need to know is that bleach actually never leaves a stain. It only eliminates the existing stain or simply color it out. So the easiest way to get rid of bleach stain is to apply some more. Spread it out further and the discoloration would fade away. Dry off your surface at the beginning. Now simply clean the sink with diluted bleach. The surface would be clean. You can buy some stainless steel polish. You are ought to find these easily in departmental stores and improvements shops. Simply get some of these and follow the manufacturer’s instruction. You should always bear in mind that a small amount of polish goes a long way. So when you are dealing with discoloration use a very tiny amount at a time. You may try using some gentle abrasive material and scrub the surface. Make sure to do this with little force. This often helps to eliminate discoloration quite fast. Of course, when you follow this technique, there’s the need for elbow grease. You should use it in a huge amount. Make sure to scrub with extra cautions. While you scrub never go against the grain. This may result in huge patches. That is enough to make your stainless steel sink look like gross. Once you do so, there is nothing to revise the mistake. So be careful! If yet, none of this technique works then, unfortunately, you’ll have to go for an expensive route. Replace the surface. Since this needs huge spending, I want you to see it as the very last resort. But sometimes, strong bleach becomes very stubborn to get rid of. At that point, you have no other choice but to replace it. This isn’t as serious as beach removal. Instead, it’s quite easier and sure to get solved. Here’s what you need to do. You need to make a paste for the removal. Use baking soda and water. You would need one table spoon of baking soda and 2 cups of water. 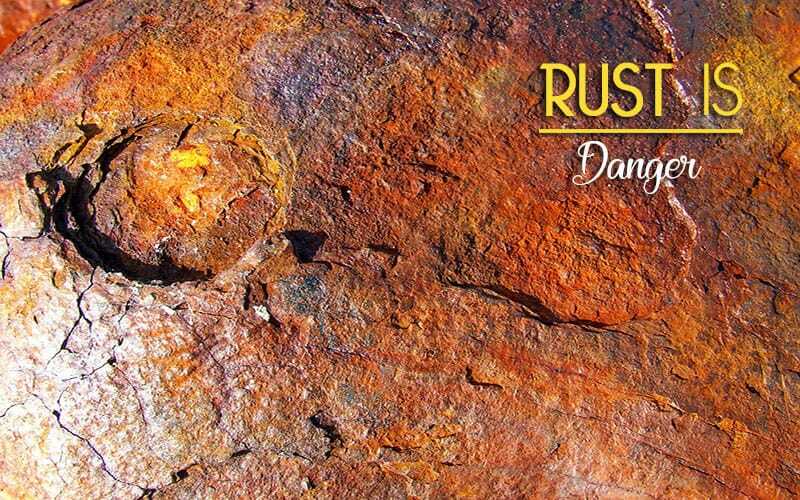 Now apply the paste over the rust using a toothbrush. You should always choose soft bristled clean toothbrush for this. Simply scrub the spot with gentle hands. Once the spots are out, rinse it away. You should use warm water to rinse the baking soda. 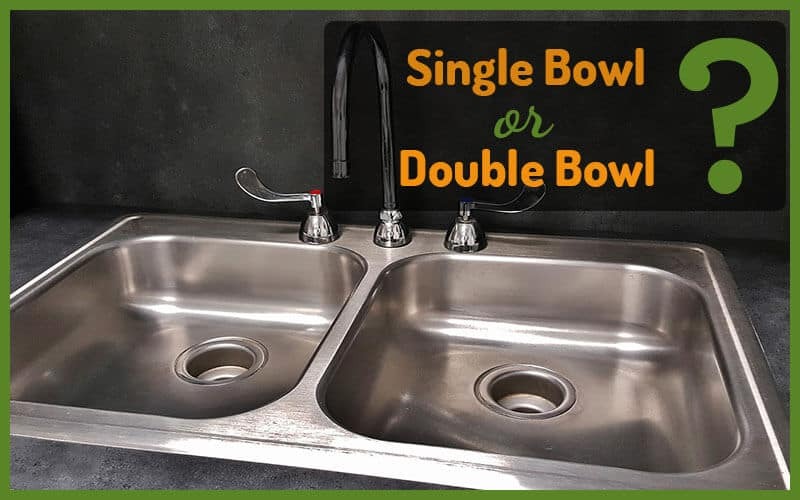 Simply wipe the stainless steel sink with a cloth or paper towel. Congrats on a clean, shiny looking stainless steel sink. 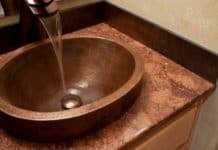 There are quite a few ideas that you can use to get rid of chemical stains from the sink. Here are some of the best solutions that you can use easily. For simple chemical stains use liquid dish soap and baking soda. Make a paste with these and use a nylon scrubbie. Scrub the surface along the grain with very gentle hands. The spots should be gone. For very strong chemical stains you can use vinegar solutions. Use some undiluted vinegar and dab the brush inside. Gently scrub the area. Once done, wipe the vinegar away. Do you know flour sack and powdered cleaners are also a great way to deal with chemical stains? Moisten the edge of an empty flour sack. Now you need to sprinkle all over the stain some powdered cleaner. Use the sack to scrub in a circular motion. You need to be gentle. Now simple damp another edge of the sack. Use it to clean and wipe in the opposite route. 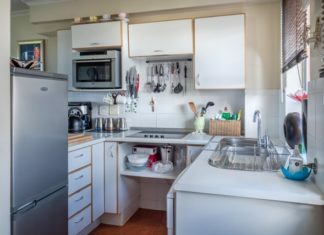 You can also use lemon oil or silicone based products to buff the stainless steel sink. Gently buff the spots with a clean cloth. Once the spots are gone, wipe it up with clean fabric. You should go for mineral oils such as olive oil instead of store-bought cleaners. 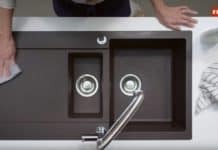 Watch the video for Removing Stainless Steel Sink Stains! Congratulations folks! 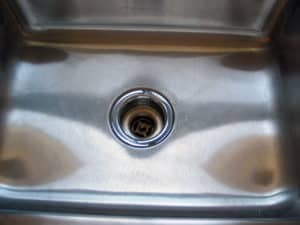 You have learned quite a lot of ways to get rid of that ugly chemical stains on your stainless steel sinks. Know about the ingredients when you get any store brought cleaners. Always read out the labels. Make sure that you read the manufacture’s direction also. Whatever solutions I talked about today are all harmless for stainless steel. 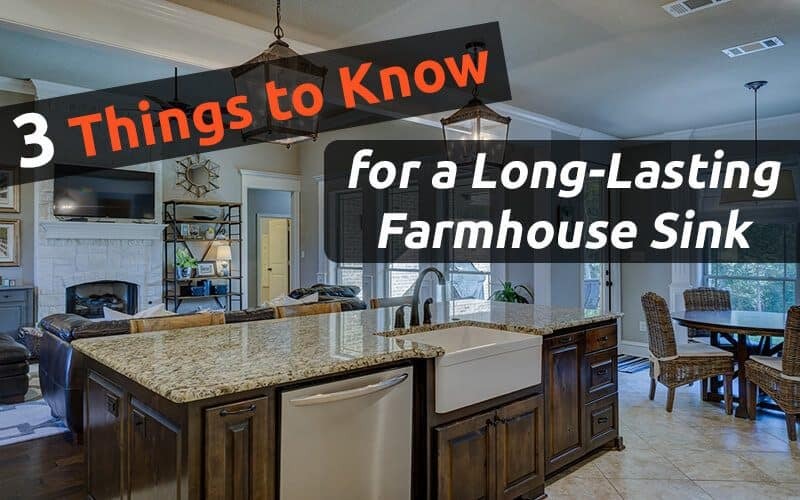 These are popular solutions at homes and many women try it. Give it a try and see how shiny your kitchen space looks. Have a nice day!